Want to be added to the mailing list in 2018? Fill out this form and we'll send it directly to your mailbox! 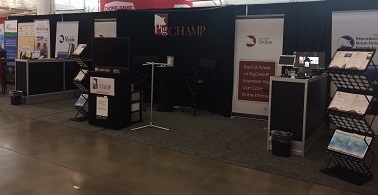 The PigCHAMP team has been busy at a number of tradeshows lately. A few weeks ago, we spent 3 days at World Pork Expo in Des Moines, and last week, we set-up a booth at the Alberta Pork Congress. It was great to see so many familiar faces! Thank to everyone who stopped by! Unable to make it to the show, but still have questions? Contact us at 866.774.4242 x 27 or email us at sales@pigchamp.com! Two weeks ago at World Pork Expo, we had the honor of having one of our new products selected as a finalist for the National Hog Farmer's New Product Tour. 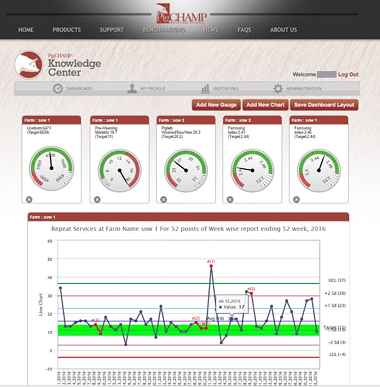 The up and coming Knowledge Center will provide web-based access to Benchmarking stats and rankings, Statistical Process Control (SPC) charting, and dashboard guages. We're excited about being able to bring you this new product in the future. Stay tuned for more information! 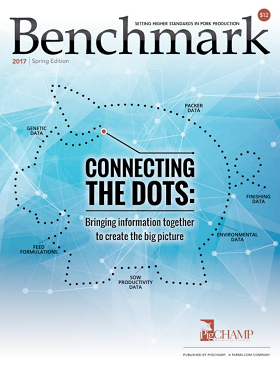 To read more about it, view our product sheet here.